Take Interstate 5 south to the Coronado Avenue exit in Imperial Beach (not the Coronado Bridge exit). Turn right onto Coronado Ave. and head west for approx. three miles (it becomes Imperial Beach Blvd.). Turn left onto Third Ave. at the four-way stop (you'll see the Reserve's concrete sign). Follow the road around the corner and the Visitor Center will be on the right. Take Interstate 5 north and turn left on Coronado Ave., then follow the directions above. The Tijuana Estuary is the largest coastal wetland in Southern California and it is located on the international border between the U.S. and Mexico. The estuary is primarily a shallow water habitat, though it is often termed an "intermittent estuary," as it is subjected to extreme changes in streamflow at different times of the year. Extended periods of drought leave parts of the estuary dry during some periods, while flooding inundates the same areas during others. For this reason, Tijuana Estuary is considered to be a very unique part of the National Estuarine Research Reserve System. The Tijuana River Estuary is one of the few salt marshes remaining in Southern California, where over 90% of wetland habitat has been lost to development. The site is an essential breeding, feeding and nesting ground and key stopover point on the Pacific Flyway for over 370 species of migratory and native birds, including six endangered species. The Reserve offers four miles of walking trails, taking visitors into prime bird watching areas and down to the river mouth where the Tijuana River meets the Pacific Ocean. Visitors may explore the park on their own or join one of the free guided nature and bird walks on weekends. View calendar of events. Border Field State Park is located in the southwestern corner of the Reserve, on a bluff overlooking the ocean, the estuary, and the bull ring that lies just south of the U.S./Mexico border. A marker on the bluff, first placed there in 1851 just after the treaty of Guadalupe Hidalgo, delineates the western beginning of the International Border. For more information about the Tijuana Estuary and Border Field State Park please visit http://www.TRNERR.org/ and view this short film. Take Interstate 5 to exit 4, Coronado Avenue, in Imperial Beach (not the Coronado Bridge exit). Head West on Coronado Ave. for approx. three miles (it becomes Imperial Beach Blvd.). Turn left onto 3rd Street at the four-way stop (you'll see the Reserve's concrete sign). Follow the road around the corner and the Visitor Center will be on the right. Educational activities provided by the Reserve include after school Jr. Ranger Program (ages 7-12); bilingual site visits for elementary, middle and high school students; nature walks/bird walks; several lecture series; site-based teacher training workshops. The Reserve provides bilingual (English and Spanish) curriculum for various grades. Read more information about the Reserve's education programs. The Reserve is managed jointly by a multiple-agency advisory council. Primary managing agencies are the U.S. Fish and Wildlife Service and the California State Parks. The U.S. Fish and Wildlife Service is responsible primarily for management of the Reserve's resources; in particular the Tijuana Slough National Wildlife Refuge component of the Reserve. The California Department of Parks and Recreation operates the Visitor Center, maintains Border Field State Park, and coordinates the Reserve's educational and interpretive programs. Short Film: Why the Tijuana Estuary is so special? California State Parks is proud to present the following podcast. 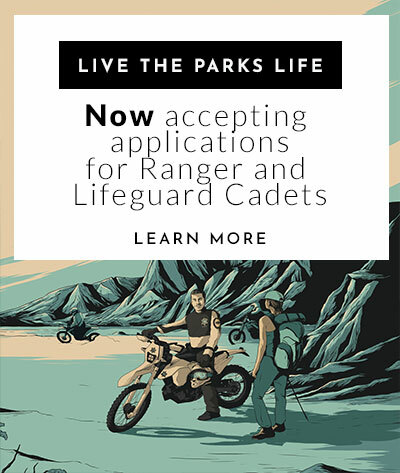 This program is currently hosted by CA State Parks Foundation.